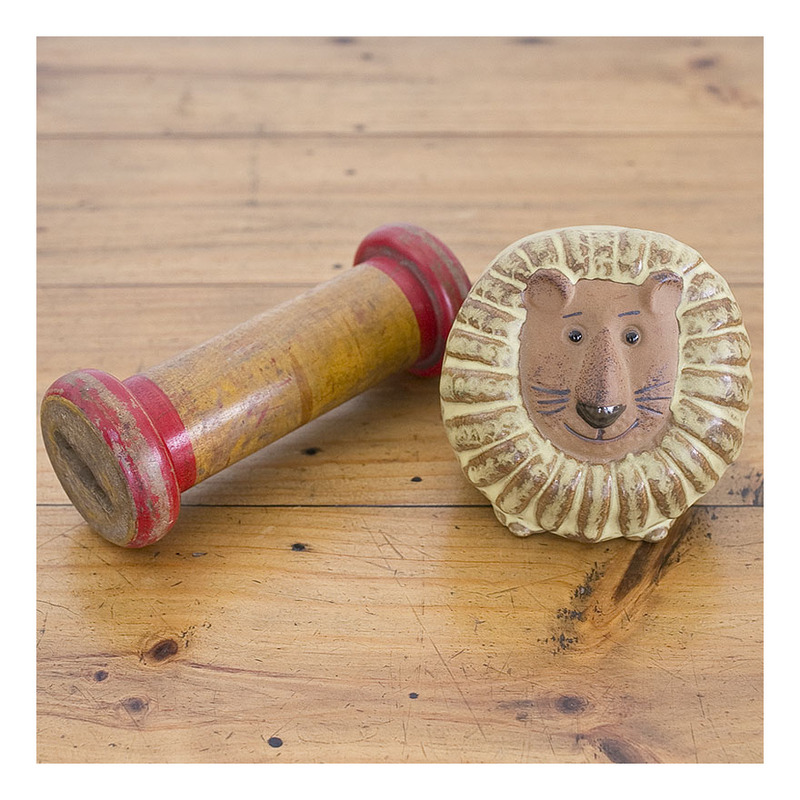 A fabulous retro lion money box – made by Gempo Pottery as part of a zodiac series; this one of course is Leo the Lion. The money box features the abstract, large–faced form that marks all Gempo Pottery. It is also particular to its period; the stylised features, and the stoneware pottery glazed in rustic creams and browns. As was the custom in Australia at the time, the money box was designed in Australia but manufactured by ceramic artisans in Japan. The money box comes complete with its original rubber stopper and is in excellent condition. A must for money box enthusiasts and Leo’s alike! Glass inkwell, made in England 1960s. 60s- style from around the world. The Kiwi is made by Crystal Craft, and features marine opal and brass legs & beak – the makers sticker in-tact on the back; the State Bank money box is metal and exhibits the logo of the 60s [founded in 1933 as the Rural Bank, the State Bank became the Commonwealth Bank in 2000.] The glass inkwell is an import from England, maker unknown. All different items, made from different materials, and hailing from different countries but unified by date [and collectability] – and what a nice little tableau they make! Crystal Craft has become uber collectable; money-box collectors are legend; and there is a society of inkwell fanciers. All are for sale at $AU15 each, or $AU35 the lot. How hilarious is this framed tapestry? How often do you wish you could see a dog with a cane and a cigar? It’s ready for hanging – totally 70s – and hilarious. The Commonwealth Bank had an elephant for its logo for a looong time- before today’s dull corporate ‘biscuit’ logo. This money box is from the 70s- evidenced by its jaunty up-swung trunk; before the 70s, the elephant was rather dour and had a hanging trunk. Money box collectors will know what I mean. I like the two elements together- both relics of the 70s- and the red money box lends itself to the colours of the smoking dog tapestry.